As always, there’s a lot going on in the world of wireless especially how it affects educational facilities. There are numerous classroom technology trends and challenges today’s schools must face when it comes to bringing mobility to their school wireless network. The 1:1 trend means one device per student, but in reality the number of devices per student is much higher. The old coverage model won’t cut it here. You need to plan your school wireless network for not only coverage, but also for capacity. You need to have enough AP’s to handle the bandwidth and provide speed and performance. 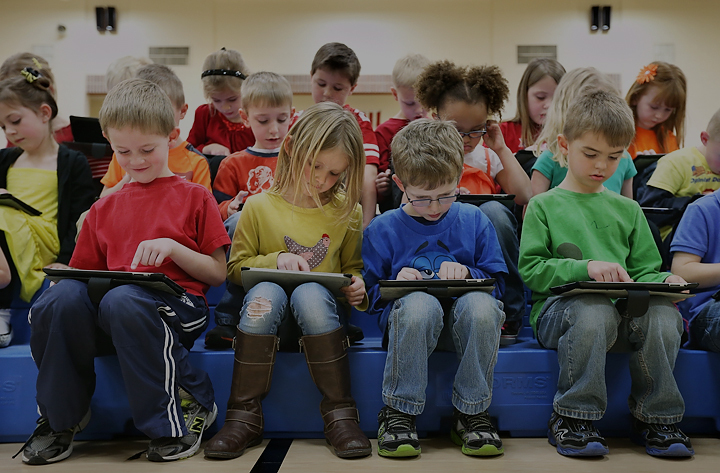 BYOD (Bring Your Own Device) is a common trend many schools all over the US have either already integrated or are considering. It’s a more budget friendly option than the school providing devices for every student. The problem with this trend is differentiating which mobile devices are trusted and untrusted devices on your school wireless network. You don’t want your teacher and students to have access to the same things. To handle BYOD, you can break it down into these three main components you will need: Wireless Access, Network Access Control, and Mobile Device Management. Security is the big challenge every school encounters and one of the biggest reasons so many schools hesitate about trends such as 1:1 and BYOD. Schools must ensure CIPA compliance, student safety, policy enforcement, and resource security. Role based access control allowing schools to apply firewall policies to the users’ roles can help address the security issue. This is a big trend in the education environment. Teachers and students are using all sorts of cloud based mobile learning apps and the challenge here is making sure they have accessibility to those learning apps. If you have things like Netflix and YouTube hogging all the bandwidth then you can’t get to your learning apps. The important thing here is making sure your school wireless network is application aware so you can limit the student streaming say an HD movie on Netflix. Over three fourths of students are using multimedia in the classroom, and this number is constantly increasing. Students and teachers are using things like video in the classroom a lot. Your school wireless network now need to become video aware. These are high density environments with a large concentration of users. You don’t want your students and teachers complaining that they can’t use their mobile devices in these kinds of environments. Again, design plays a big role here as well as load balancing (distributing the load from one access point to another). More than 70% of students are using apps that help them study according to onlinecolleges.net. With all the apps available now, it’s important to have a mobile device management solution to manage those applications so that students are using the educational apps they are supposed to be using. For even more trends and challenges check out this downloadable webinar “Creating and Implementing My Mobility Strategy”. Join us as we discuss today's school wireless landscape with the IT Director from Charlotte Latin School. You can also contact us if you have any questions or would like to discuss how we can analyze and optimize your school wireless network today! 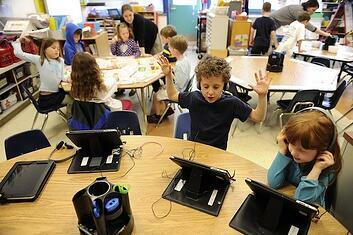 Next Post: 6 Key Advantages for Having Controllerless WiFi in Your School.